The mandatory insurance scheme linking application for a visa in Dubai to medical insurance is now in place, the Dubai Health Authority (DHA) has confirmed. Residents applying for a new visa or visa renewal must be able to demonstrate that they are covered by medical insurance, unless they are part of the last phase of the rollout of the scheme, which looks at a deadline of June 2016. Employees of companies contracting more than 100 employees must comply with the new rules, which are in place since the beginning of this month. When applying for a new visa or visa renewal, a medical certificate must be presented. The medical certificate is a document provided by the insurance company stating that a person is covered by medical insurance, explained Haidar Al Yousuf, Director of Health Funding, DHA. “All insurance companies should be able to provide this document free of charge. “When visiting the General Directorate of Residency and Foreigners Affairs (GDRFA), this document must be presented along with other documents required for a visa or visa renewal. “When applying online, there is an option to upload the document when submitting the application,” he continued to explain. According to the director, there was a minor change made to the system after the new rules were in place. However, al Yousuf assured that as employees are sponsored by their respective companies, the application procedure will be carried out by the company. On the same note, the company is responsible for the provision of medical insurance, and if this is not provided on time, any potential fine for overstaying would come to the company, he explained. Visitors to the emirate will also be required to have a medical insurance coverage upon entering Dubai, however, details of this part of the scheme are yet to be announced. Currently, visitors applying for a visa through the GDRFA are already required to purchase medical insurance upon purchasing a visa. However, this rule does not apply to everybody, as some individuals are sponsored by organisations or do not require at all. “There are other groups that are currently not covered by this rule, but they will be under the new system,” said al Yousuf. 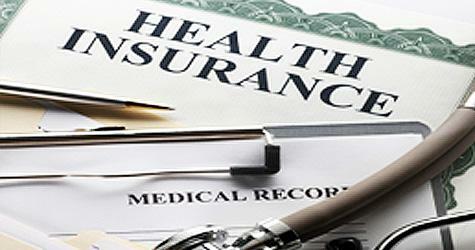 The official date for the linking of the visa to medical insurance was August 1, 2015. However, the GDRFA and the typing centres employees in the emirate were not aware of the new rule when asked by Emirates 24|7 on August 3.